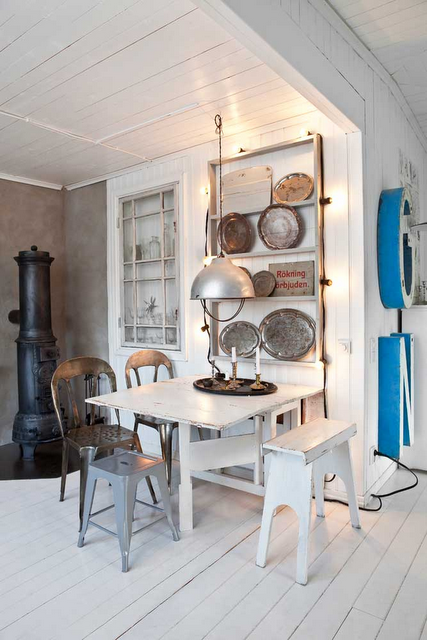 Rustic dining is always charming and mix-matched seating is so cute! Would love to eat here and have a toasty fire going. I love the vintage turquoise letters, so clever!